Now that summer has officially arrived, parents might find themselves scrambling for ways to fill school-free days. Keeping kids entertained while also limiting screen-time can sometimes be a challenge, but swimming is one screen-free activity that fits the bill. Letting your kid splash around in the pool, lake, or ocean is a great way to promote physical activity and help them stay cool. But all that diving and splashing can lead to some unwanted consequences -- namely, swimmer’s ear. Acute otitis externa, or swimmer’s ear, is an infection caused by water remaining in the ear after swimming. This causes an environment that helps bacteria grow, explains Kara Jones-Schubart, a clinical assistant professor at the Texas A&M College of Nursing. Health care providers typically prescribe eardrops to treat most cases of swimmer’s ear, but more severe cases may call for oral antibiotics (and possibly ear drops). Although usually easily treated, swimmer’s ear certainly isn’t fun. Fortunately, there are a few ways to help keep swimmer’s ear at bay. Use a hair dryer. To dry out ears after a swim, use a hair dryer on a very low setting so as not to damage your hearing. A soft towel can also be used to dry the outer ears after swimming. Homemade preventive eardrops. 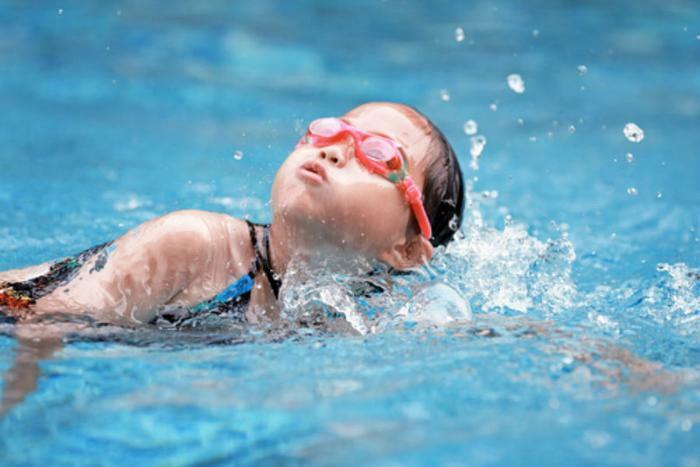 For kids without punctured eardrums, an at-home preventive treatment may be used before and after swimming. Mix one part white vinegar to one part rubbing alcohol to help prevent the growth of bacteria and fungi that can cause swimmer’s ear. Pour one teaspoon into each ear and let it drain back out. Don't use cotton swabs. Avoid putting cotton swabs or other foreign objects in your child's ear, as these can push material deeper into the ear canal.